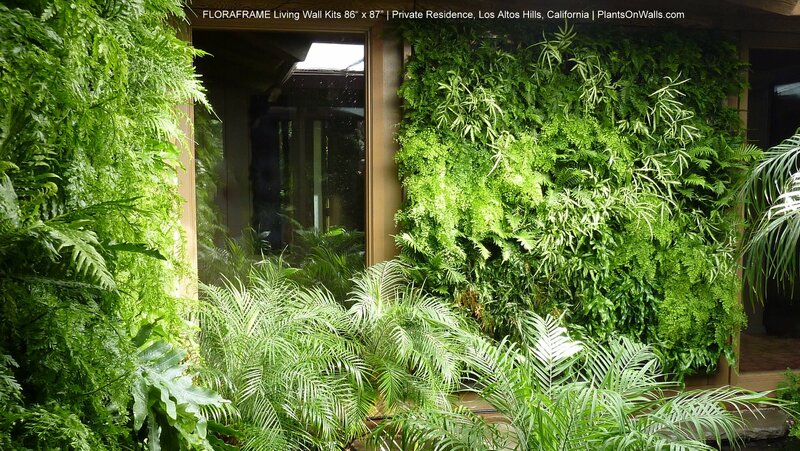 PlantsOnWalls created a fern paradise for this private residence in California's Los Altos Hills. 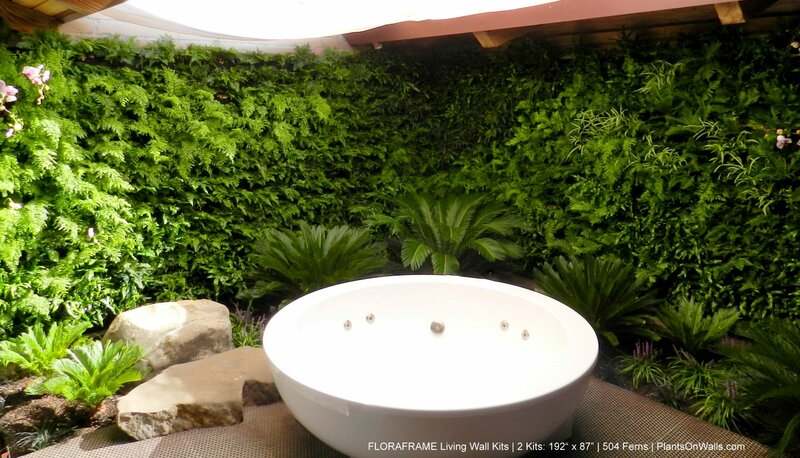 Two Floraframe Living Wall Kits measuring 192" wide by 87" high were mounted to the existing masonry walls to create homes for 504 ferns. 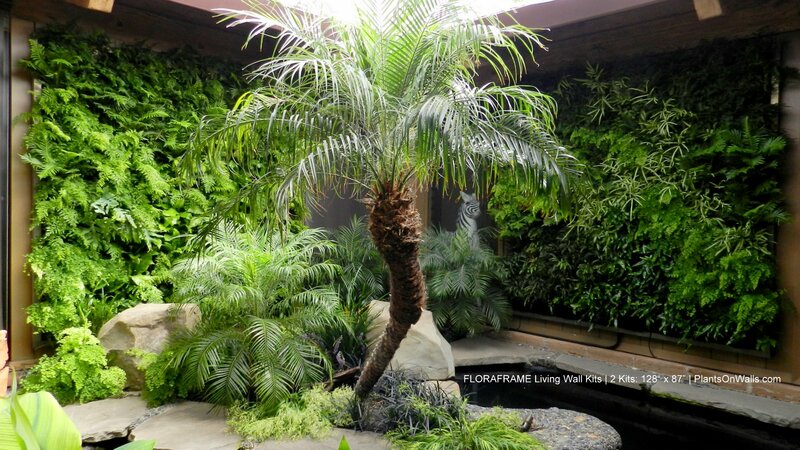 The remaining landscape was planted by San Francisco's Living Green Landscape Design. 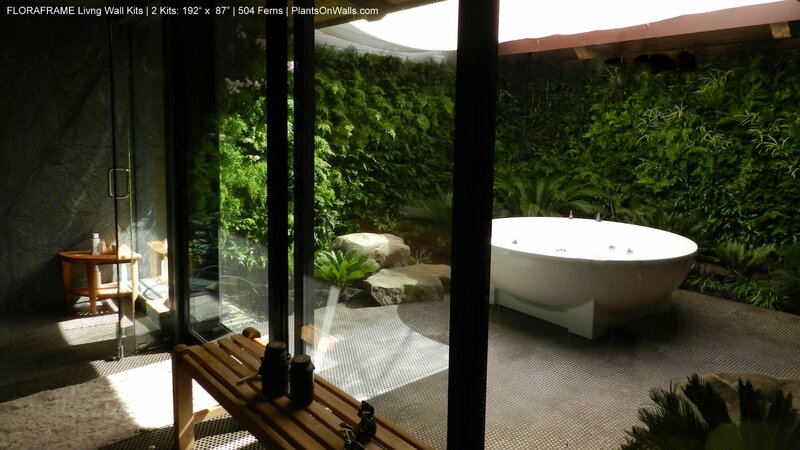 This open atrium has bright indirect light which is the perfect environment for ferns.